Innovative peptides and enzymes are the key to a successful product portfolio in the bio-industry, be it food, crop protection or biofuels – we accompany you in the development of new, effective enzymes for your processes. An example of research and development in this area is the project “PeroxiMar”. 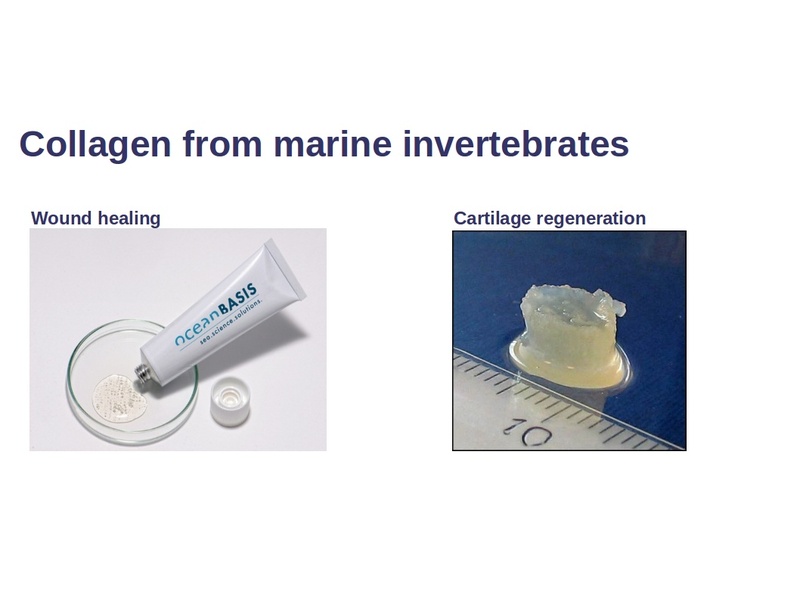 Collagen from marine invertebrates are interesting biomaterials, e.g. for wound healing and orthopedics. With its experienced natural product chemists, marine biologists and process engineers, CRM works as a partner with various universities and institutes in various projects – currently in the Horizon 2020 project “GoJelly”, in order to exploit the potential of marine collagens. We have two patents in this area. 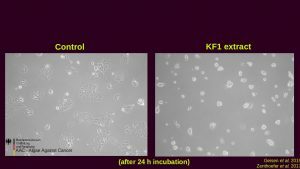 We also offer a peek into our unique “Peptide for Industry” database (PEFI) and deliver peptides in micrograms and mg in just a few weeks at a fair price. Contact us! More than half of the marketed drugs are due to natural products, although the drug richness of natural organisms has so far only been explored pharmacologically. This applies especiialy to marine organisms. 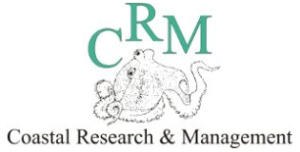 Therefore, anti-infectives and antitumoral agents from algae are another content focus of natural products research in CRM. Our “Bio-Exploitation” initiative, in which we specifically search for usable proteins and other natural products, leads us specifically to products that we develop with our partners, e.g. a spin-off of CRM, the oceanBASIS GmbH. 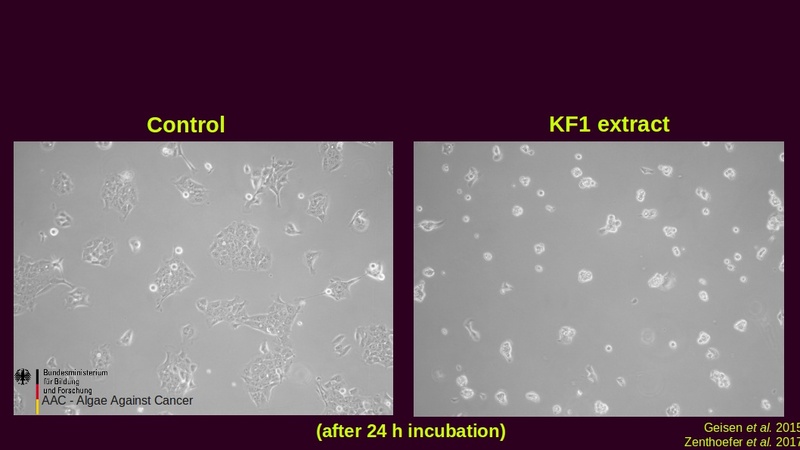 We do this with a good mix of “traditional” biology and cutting-edge molecular biology methods. This approach includes current techniques of sequencing and bioinformatics. 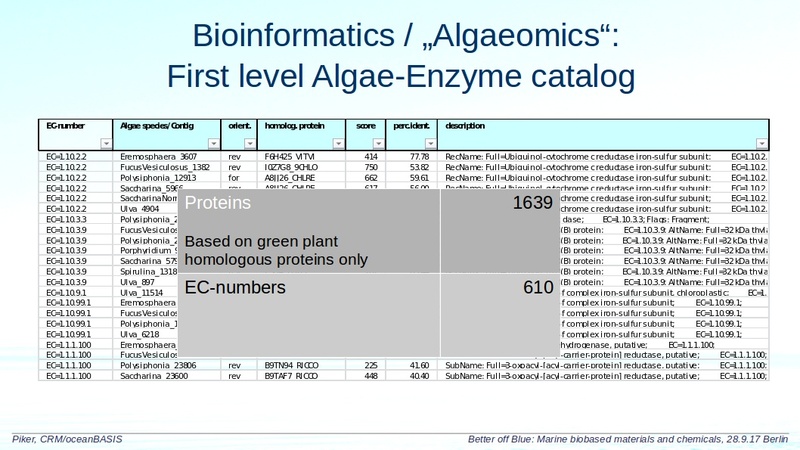 Why is the potential of structures and functions in the sea so big for the bio-industry? Marine creatures have designed structures that are of particular use to humans. algae are lapped by water, which exposes them to permanent attack by microorganisms. Viruses can infect their cells, and bacteria or fungi can overgrow the plants’ surfaces, damaging them. For this reason, there is enormous pressure on marine plants to defend against attacking microbes. Since plants do not have a specialized immune system, defense reactions must take place via the formation of chemical substances. 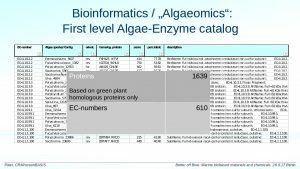 Compared to animal organisms, (macro-)algae have a much broader repertoire of metabolic pathways leading to unique biochemical compounds. Therefore, in our view, algae are of particular value for the production of active substances. 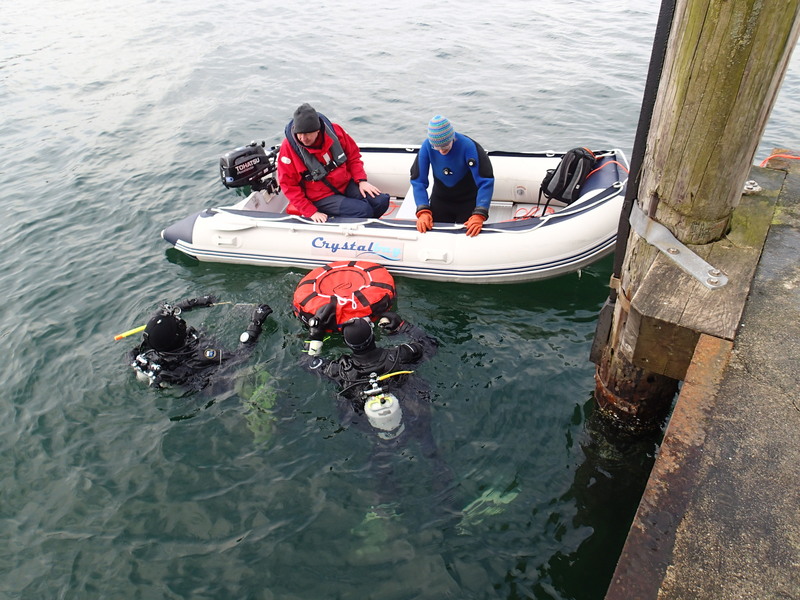 The reservoir of structures that has developed in the survival struggle of marine plants could lead to new antibacterial or antiviral substance classes. The neurotoxic effects of the substances produced in some algal blooms provide drastic proof of how effectively marine-based substances can affect human cells.